RYLA was officially adopted by Rotary International in 1971, and is one of the most significant and fastest-growing programs of Rotary service. RYLA programs often lead to the formation or strengthening of Rotaract and Interact clubs. This year's RYLA for R.I.D. 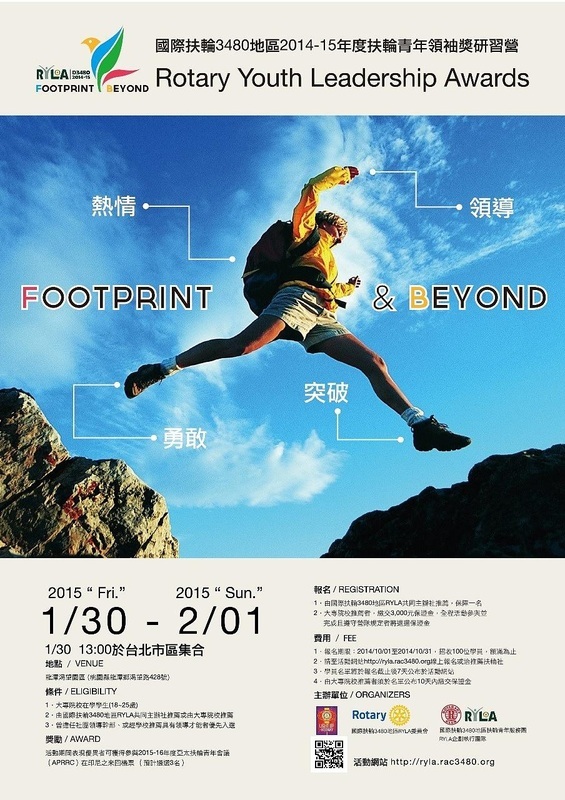 3480 is scheduled to be held during January 30 to February 1, 2015 (Fri. to Sun.). For more information about RYLA in your area, contact your local Rotary club or the District Rotaract Board.